Western Australia is often coined as the four-wheel-driving capital of the nation. As Australia’s biggest state in terms of land mass, there is a number of off-roading tracks that you can take your pride and joy to. If you own a four-wheel drive (4WD), or are looking to purchase one, below is a list of some of the most desirable off-roading tracks within a day’s drive from Perth. Lancelin’s biggest attraction for 4WD goers is its amazing sand dunes, which make for the ultimate driving adventure. Located 127km north of Perth, the town is a popular destination for holiday makers as it is surrounded by ocean. The town has a mixed-range of accommodation – you can choose to stay in decent hotels and apartments or more budget-style accommodation such as a beach shack. The dunes can be a lot of fun to drive in, but exercising caution is necessary due to the presence of razorback dunes. The razorback dunes are particularly steep, and where people haven’t exercised caution, there have been instances of vehicle rollovers. It is recommended that you check the steepness of some of the dunes by foot before driving over them. The driving conditions around Lancelin’s dunes can change based on the wind and rain. Lancelin’s dunes are open 7-days per week between 8:00 AM and 7:00 PM. The Mundaring Powerline Track is one of the most well-known off-roading tracks in Western Australia. Its rugged and rocky terrain makes it more appropriate for those who have experience in off-road driving. There are less challenging tracks you can drive your 4WD through, however, even some of the easier tracks can be difficult to drive through without previous off-road experience. The track is on a powerline and hence why it contains ‘powerline’ in its title. Despite being managed by Western Power, it is open to the public. If you are intending to complete the full track, you should allow yourself 5-6 hours. You can exit the track in different stages for a shorter off-roading experience. The track is only 40km east of Perth, making it a popular day activity for four-wheel- driving enthusiasts residing in Perth. If you are completing the more advanced aspects of the track, it is an absolute must to ensure the vehicle you are driving is fitted with diff lockers. Lift kits and low range driving options are also highly recommended. Located 90km east from Perth is the Jeep Kraft Trail. It is catered for those who are looking for a less challenging off-roading experience. In wet weather, the track can be a little more difficult to drive through, but it isn’t in the same calibre of difficulty as the Mundaring Powerline Track. Westside Auto Wholesale has a massive range of 4×4 Wrangler and Grand Cherokee Jeep vehicles. Choose a Jeep from us today and you can be off-roading on this track in no time! This track isn’t for the faint-hearted. It has a combination of medium level tracks and extreme tracks, which are designed for those with the most advanced knowledge in off-road driving. The track is narrow in parts, so bigger vehicles can have challenges in driving through certain parts of the track. You can travel on this track throughout the year, but winter can be particularly difficult with the muddy terrain caused by rainfall. A standard 4WD is not applicable for this type of track. It will need to have low-range and a decent lift kit. You will find this off-road track 90km east of Perth. 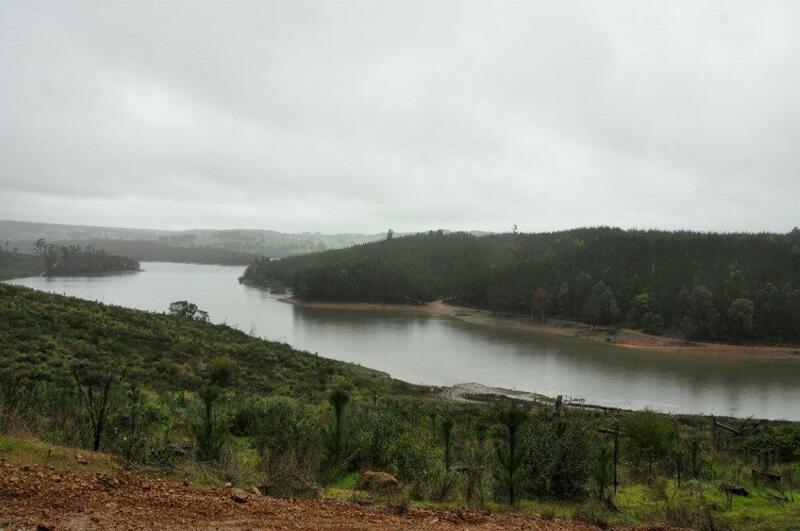 The Harvey Dam track is ideal for those with medium to high levels of 4WD experience. If you are off-roading for the first time, it is recommended that you go with someone who has previous experience in off-road driving. The terrain is mixed between mud, rocks and solid dirt. You will also encounter numerous hill descents and climbs as you’re driving through the track. The Harvey Dam region is 136km south of Perth and is regarded as a family-friendly area – it is the kind of place that is ideal for canoeing and fishing as the driving tracks surround a lake. Standard four-wheel drives are not recommended for this track due to the hilly terrain. Your four-wheel drive should have a low range option. Lift kits are strongly advised for this track too. Wilbinga is an ideal place for a day trip as it is only 70km north of Perth. There is a mixture of off-road driving tracks as well as sand dunes that are close in proximity to the ocean. The difficulty in driving over the sand dunes differs from being very easy to very challenging. Sand conditions can change based on weather conditions. This Wilbinga area is very popular over the weekends, particularly in summer, where activities such as fishing and swimming are common. Naturally as it is close to the ocean, it is quite a sought-after location during the warmer months. Westside Auto Wholesale is proud to be one of Australia’s biggest stockers of four-wheel-drives. In the link below, you can choose from a great range of off-roading vehicles – anything from Toyota Landcruiser 200 Series to Mitsubishi Pajero vehicles. See the best Western Australia has to offer with a vehicle capable of giving you the ultimate 4WD experience.